As you already know I like anime, but as someone who downloads the new stuff that isn’t licensed here in America, it can get hard to sift out the cat crap. 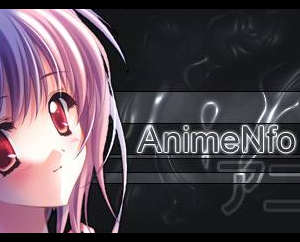 AnimeNfo is a huge database that has tons of information on shows and movies, from who are the seiyu (voice actor) to running length. The other thing cool is that it has a huge collection of reviews by fans or haters of each show. You can read personal reviews that range from the short troll entries to the well written analytical breakdowns of some shows. It is a very good place to visit before wasting time to download a 5gig torrent for a show. Dig around for some cool new shows at AnimeNfo. So apparently people who read MaoChan are really into Do It Yourself game/nerd projects. 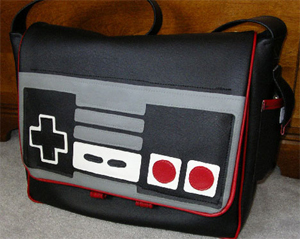 To help satisfy that bloodlust, I present to you the NES Bag. This custom made messenger bag was posted over at Craftster.Org by Frogz. He made it all from scratch it seems, where I would be lazy and buy a black bag and mod it up. A classic design by choosing to to a NES controller but I would love to see some other ones, say a Neo Geo pad or a TurboGrafix-16 controller. Get sewing your own NES Bag.